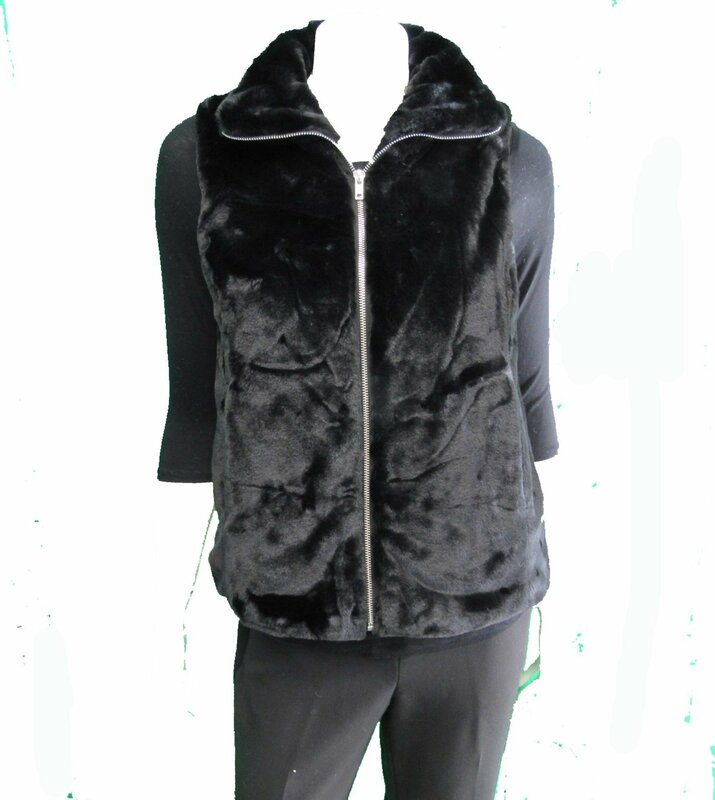 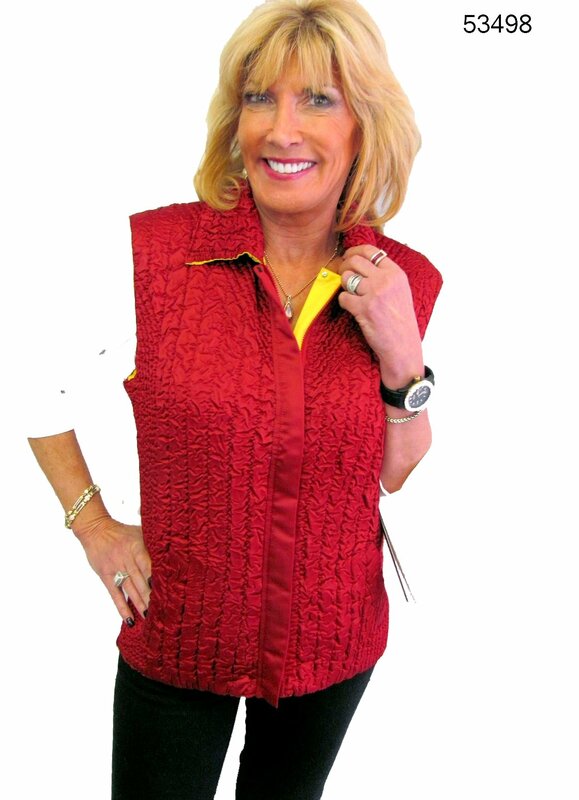 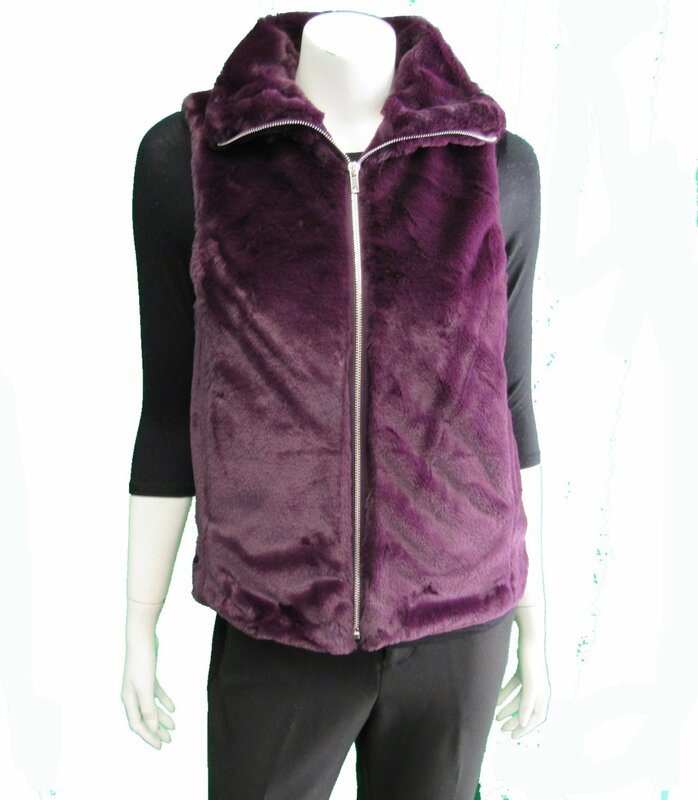 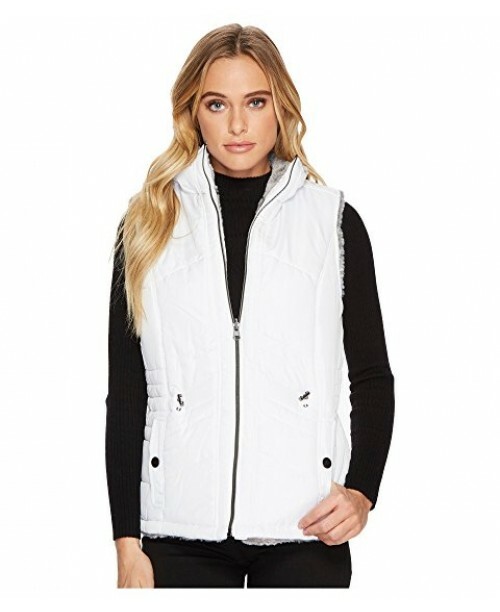 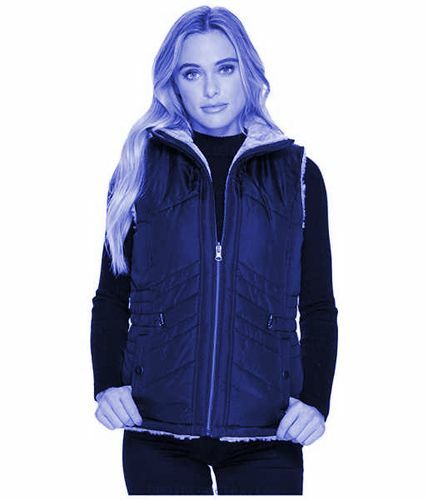 This versatile vest features large-scale diamond quilting on its front and back panels. 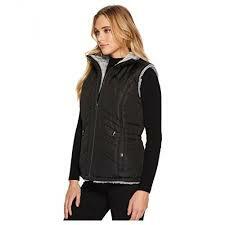 A reversible zipper glides up the front opening toward the stand collar. 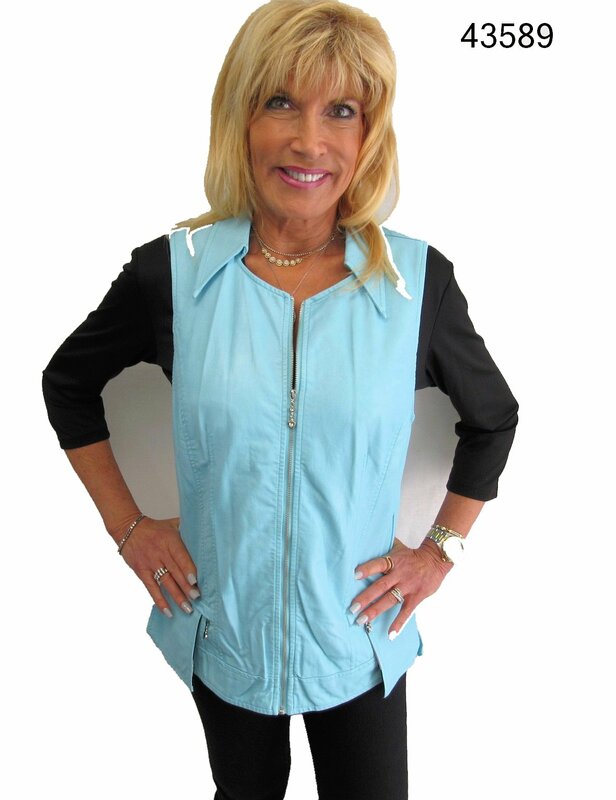 Two side-entry pockets with snap closures rest on the lower waist and each is secured with a single snap closure.